A couple of months before my last birthday, I decided I wanted to start making speed painting videos for YouTube and asked for a tripod for my birthday. My first videos turned out to be travel diaries, because those were a lot easier to film. 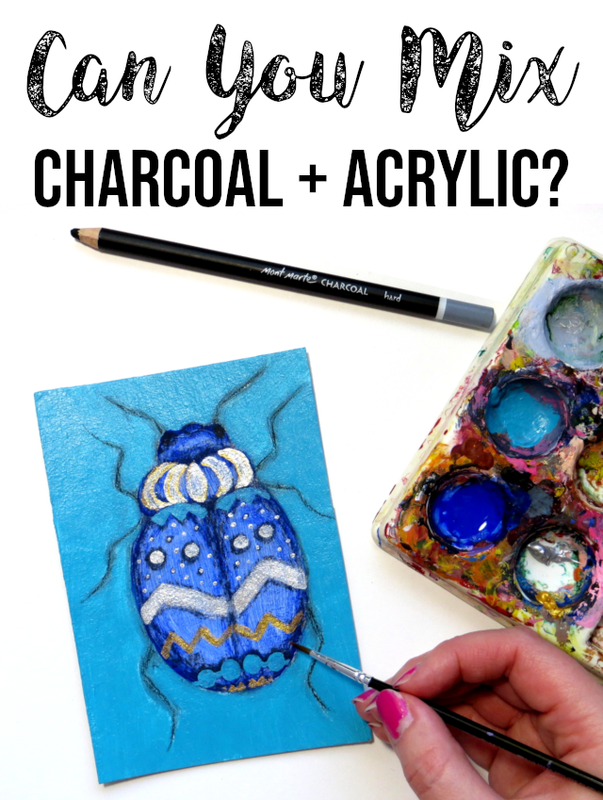 By now I've also made some DIY tutorial and speed art videos and I thought I'd share how I got started with those by using tools I already had or just cheap or free tools. Links marked with * are Amazon affiliate links. If you shop on Amazon through these links, it will help out my blog and YouTube channel at no additional cost to you. When you first start out making videos, it's best to make use of the equipment you already have. I use my Canon digital camera (I don't have a DSLR camera) and it works fine. I did get a bigger memory card though. It's recommended to have at least a 16 GB 40 MB/s memory card for filming videos. A 32 GB memory card fits about two hours of footage. The one issue I have with my camera (Canon PowerShot SX260 HS) is that it doesn't have a time lapse setting, in other words a setting for how frequently it takes shots (or I haven't found it anyway). It's really helpful for speed art videos if you can set your camera to take one frame per every 5 seconds etc. so you don't need to keep emptying your memory card every hour or two hours depending on your memory card size. It's also easier to edit. The other purchase I made was a Hama Star 700 EF tripod. It's a cheap, light-weight one (it cost less than 15 euros). Later on, I also got an extra camera battery, so I don't have to wait for the battery to charge and can just change it and keep filming. Canon PowerShot SX260 HS digital camera and a 16 GB memory card. Hama Star 700 EF tripod. 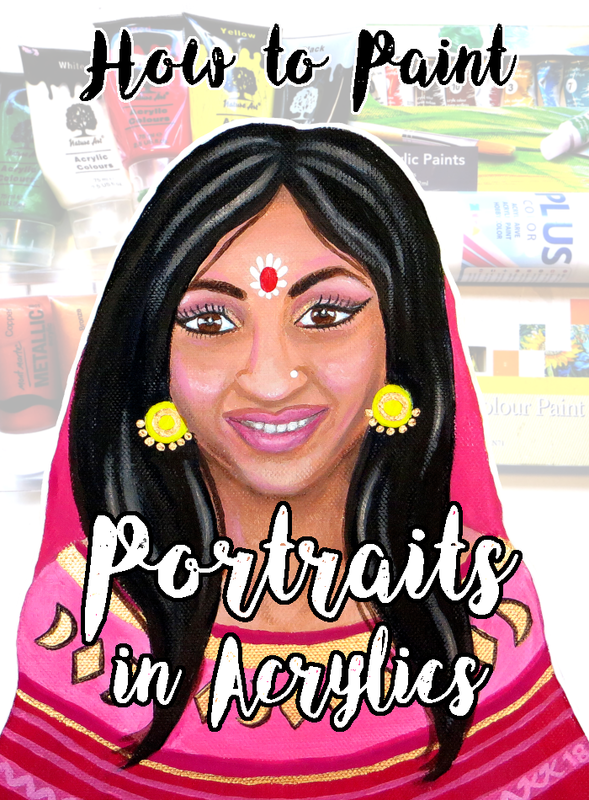 How to set up your camera for filming you painting, drawing or making crafts? I've tried filming on the table or on the floor (with a white chipboard as the background), with the camera beside me or in front of me. What I would want to do is film straight from above, but you need an expensive desktop monopod for that - or so I thought. If you try to use a tripod, you'll end up filming the tripod's legs as you can see in one of the photos below. The good thing about filming with the tripod and camera in front of you is that it's not going to be in the way. However, the video will be upside down and the camera is pretty far from you and it might be difficult to see what you're doing. So, the set-up I first used was having the camera is beside me, usually on the left side because I'm right-handed and that way the tripod is not in the way as much. I use a desk lamp for extra light and that's on the left side as well so that there won't be a shadow on what I'm making. As I said, I prefer filming from straight above, but I'm not ready to invest in a desktop monopod. There are also some DIY ways for filming straight from above, such as balancing the camera on boxes or books etc. My current DIY camera set-up for filming straight down includes my cheap tripod, a couple of boxes and a strong elastic band. Another filming tip is framing the shot so that what you're filming is on one side, instead of in the middle. That way, if you want to add text when editing the video, you'll have a blank place to add it. Filming set-up with camera on a tripod on the left side. Filming straight down with a tripod results in filming the tripod's legs. Set-up with the camera on a tripod in front of you resulting in an upside-down video. DIY set-up for filming straight down. Since you're making things with your hands or recording your screen, you don't have to show your face on your videos or even talk on them, if you don't want to. You can write the necessary instructions on the video and in the description, but it can help your viewers to also hear the instructions (plus get to know you a bit more) besides watching what you do and reading captions. I made videos for over 18 months before I recorded my first voice-over. You don't need to buy an expensive USB microphone. You can try your computer's built in microphone, a headset microphone, smart phone microphone or camera microphone to see which one works best. To use your camera as an audio recorder, record your voice-over on video, open the file in Windows Movie Maker or another video editing software and save the audio only. Convert the resulting MP4 file into a WAV file with a free converter online like Zamzar. Download the free audio editing software Audacity, use it to remove background noise and add the edited audio to your video. To minimize echo and background noise in your voice-over, record in a quiet place and put a big towel or blanket over yourself and the recording device. That way the sound can't bounce off the walls and come back to the microphone a tiny bit later and cause echo. It can be tricky to find the best Noise Reduction settings that minimize the background noise in Audacity, but don't turn the audio robotic, especially in ASMR type videos, where you're recording the sound of drawing etc. You just have to try some settings, listen to the result, undo and try again. I've gotten best results by setting noise reduction lower (around 12 dB), sensitivity higher and frequency smoothing lower. Talking about ASMR videos, I want to mention something about mid-roll ads. ASMR videos are usually long enough so you can put in mid-roll ads in addition to the pre-roll ad. However, it's best not to use mid-roll ads in ASMR videos. People watch them to fall asleep or relax and a sudden loud ad in the middle of the video will disrupt the experience. Sometimes it's necessary to record your computer desktop for a software tutorial, digital drawing, image editing tutorial etc. The program I've used for my GIMP tutorials is ScreenCastOmatic, which you can use for free. I first used the free Windows Movie Maker for editing my videos. It works for basic needs such as cutting, adding text, speeding up or increasing brightness of the video and turning the sound off or low. For any error messages I've gotten, I've found an answer to on google. Speaking of which, don't try to upload a video straight to YouTube, save it on your computer first (preferably in the full HD setting, 1080p, or the highest quality setting possible) and use the YouTube upload tool. If you have problems finalizing big videos, it sometimes helps to divide them into a couple of files, finalize those separately and then join them together. You can also outline text captions to make them more readable. I did feel that a few things were missing from WMM. Sometimes the video is blue or yellow so tint correction would help. However, using a daylight light bulb, 5000 K, could help with the yellow tint problem. Another thing WMM is missing is the option to add multiple text caption fields simultaneously or adding overlays and adjusting contrast. 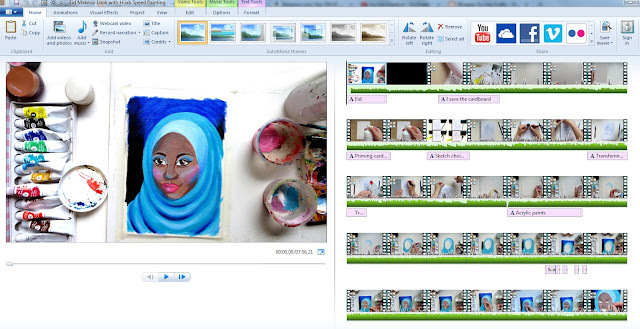 Editing a video using Windows Movie Maker. If you eventually want to try something more advanced, Adobe offers a 7 day free trial of Premiere Pro and you can also try Vegas Pro for free for 30 days. You can even use older 30 day free trials of Premiere Pro, which I did for a few months. You can also use the free version of Lightworks, but the video resolution exported to YouTube is restricted to 720 p or smaller. After Adobe Premiere Pro, I switched to HitFilm 4 Express, which is a free video editing software that's more advanced than WMM and doesn't limit video resolution when exporting. It's pretty similar to Premiere Pro so it was easy for me to learn with a couple of tutorial videos and just googling for an answer, when I ran into a problem. There are a few issues compared to Premier Pro, though. You can't use open type fonts, HitFilm 4 Express only understands true type fonts. When you're outlining title text, it's actually inlined, which sometimes ruins the font. And some other little issues. Editing a video in HitFilm 4 Express. An obvious benefit to using the Adobe package is a smoother workflow. 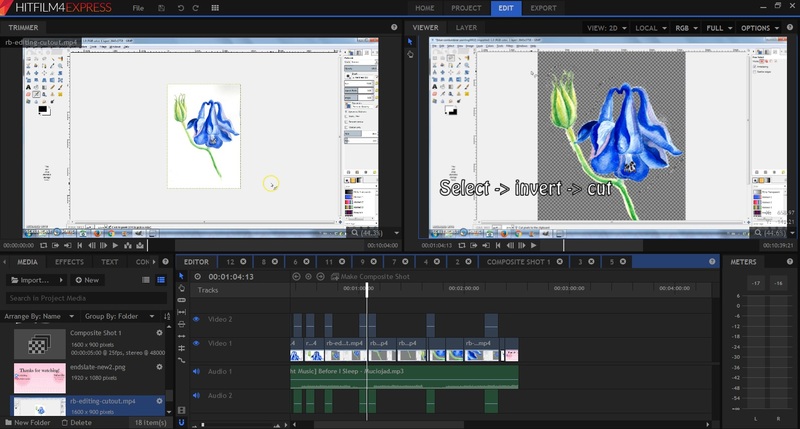 You can easily move your video between the video editing software Premiere Pro and audio editing software Audition. When you're using free software for video and audio editing, you might need to make an extra step to convert files. My video structure is usually an intro (a few photos or short video clips of the finished artwork/craft along with the title), tools (a photo and list of the supplies and tools I used), the art/craft process with a few captions, photos and short video clips of the finished piece, an endslide with social media links, a reminder to subscribe to my channel to receive notifications of my new videos, a link to a previous video and a "Thanks for watching". For music, first check YouTube's Audio Library, they've recently added more free music. Just remember to follow the instructions on what information you need to add in the video description. There's also YouTube channels dedicated to royalty free and free music that categorize music from both SoundCloud and YouTube Audio Library into playlists based on genres: heroboard - No Copyright Music, Audio Library - No Copyright Music, NoCopyRightSounds. Other good sources for free + royalty free music are Bensound, OurMusicBox and Incompetech. Another option is to ask permission to use original music of small artists. So if you stumble upon music you like, check their about page or video descriptions to see if you can use their music and instructions for getting whitelisted so YouTube won't take down your video for using someone else's songs. You can also subscribe to a royalty free music library especially, if you're already making an income with your YouTube channel. Epidemic Sound offers a free 30 day trial so it's worth checking out. You get to use their songs in your videos for free for that month and the videos you upload during that month will be cleared forever even if you cancel your subscription afterwards. AudioBlocks offers a similar free trial. When uploading your video to YouTube, add links to your social media accounts and any relevant blog posts / videos / email list opt-in freebies / paid products you have in the video description. Write down the information of the music you used. Add as many tags as possible. I type the tags in Notepad separated by commas, where I can easily edit them and copy and paste them into the tag field in YouTube. Use tags with multiple words YouTube users might be searching for (meaning write tags like "how to make a coloring book" instead of separating them into "coloring, book, tutorial"). Most of the views on my most viewed videos (Trio Magic and ColorSplitz Markers Demo and Making a Coloring Book) come from the YouTube search so I consider tags and an informative video title very important. Use the video description to write about the topic and make sure to mention the keywords in the text, especially in the first few sentences (you have 5000 characters for the description). 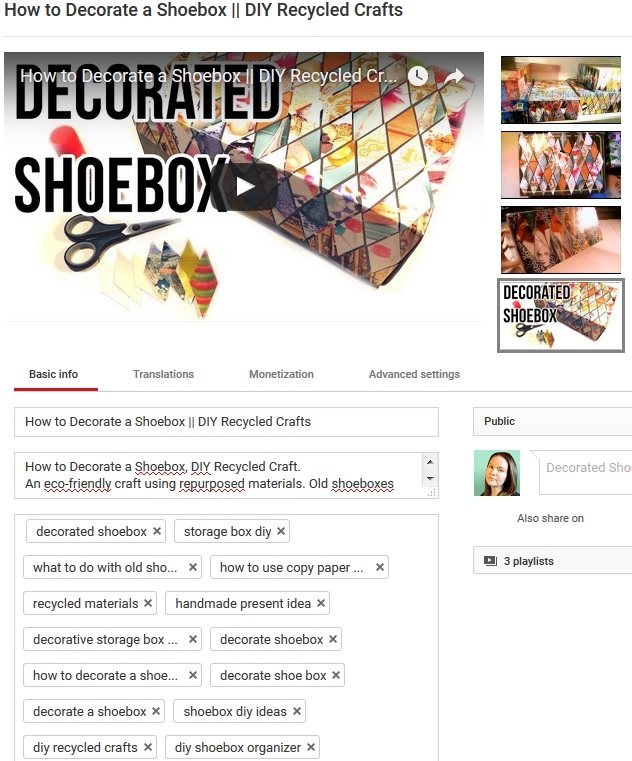 Add all different variations of your video title in the tags (you have 500 characters for the tags). The title, description text and tags should all contain similar information to make your video perform well in search. It's useless to add tags that aren't included in the video title, description, transcript or subtitles, because your video will not rank in search for those tags. I use the free version of Tubebuddy to check how well my video is ranking in YouTube search for the tags I chose. You can also do this for your older videos. I've gotten some old videos to peak in views by changing the title, description and tags months after publishing the video. Uploading a video to YouTube. If English is not your first language, you can translate your video title and description (there's a "Translations" tab in the Info and Settings section) and write subtitles for your video. Some youtubers even do separate videos with voice-overs in different languages. When your video is done uploading, add and endcard/annotations or cards (endcards and cards are mobile friendly) with links to your related videos, playlists, blog posts or email list opt-in freebies. You also need to make a thumbnail picture for your video, if you don't want to use any of the 3 options YouTube gives you. 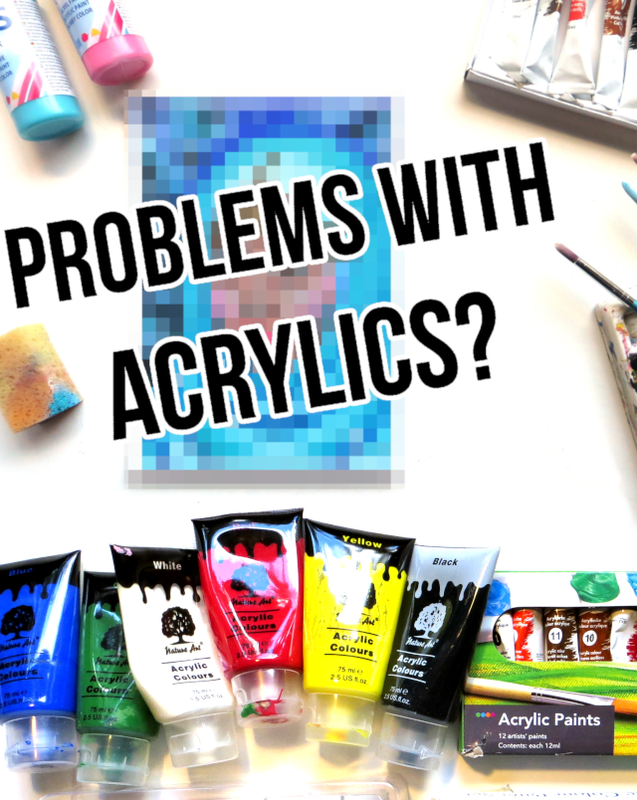 I make thumbnails with Picmonkey or GIMP (both are free image editors). Remember to use the right aspect ratio (16:9). When I'm taking a thumbnail photo for my video, I already use choose the right ratio in the camera settings. Your thumbnail can be clear picture of the finished "product" on a white background with a few words summarizing the video title. Make the text big so that it's readable in the small thumbnail. For more YouTube and video editing advice, check out these YouTube channels: Roberto Blake, Gabrielle Marie and Video Creators. 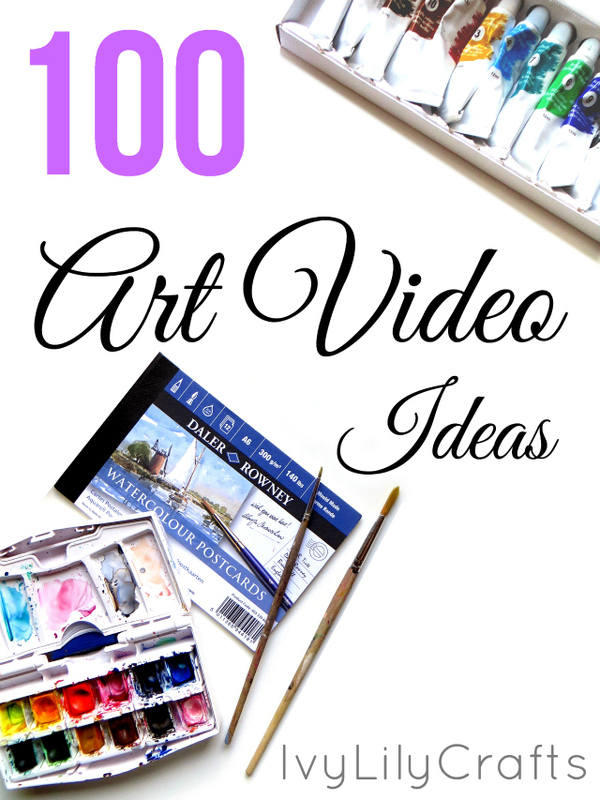 Baylee Jae has also made a very comprehensive video of 20 Tips for a Successful YouTube Channel especially for art channels. Download the free checklist on filming, editing and uploading your art and craft videos to YouTube. Any questions or tips on making videos? Tell me in the comments below. 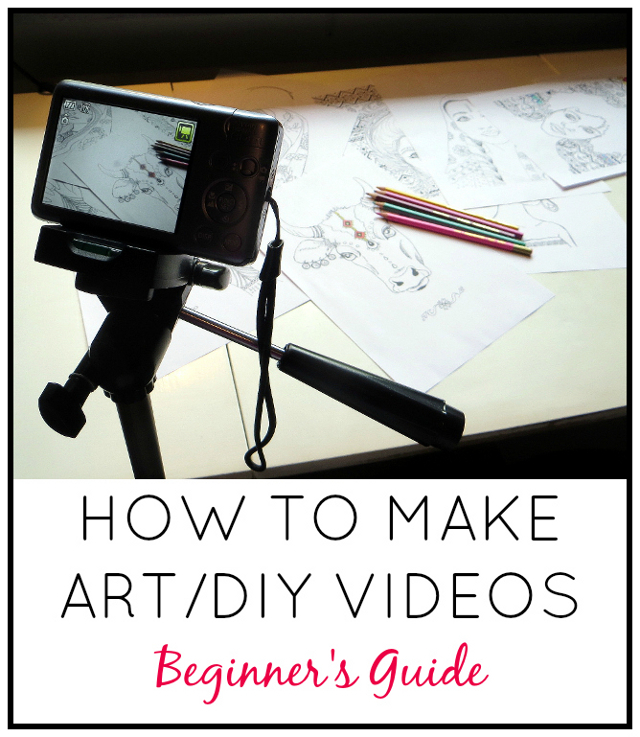 Thanks for this wonderful article on how to make ART DIY youtube videos. I found it very helpful for those who are making tutorial videos for youtube. Well, if someone is looking to buy a new camera for recording high quality videos for youtube then it is recommended to take a look at this list of video cameras for youtube. Trust me you will find the best one for your needs on this link.